(16/P82) TRENTON – A popular annual festival that supports programming and ongoing conservation efforts at one of the jewels of the State Parks System is scheduled for Sunday, September 11 at Island Beach State Park, Department of Environmental Protection (DEP) Commissioner Bob Martin announced. The 19th annual Beach Plum Festival, which is the main fundraiser of the year for the Park’s nonprofit partner Friends of Island Beach State Park, will be held from 9 a.m. to 4 p.m., September 11 at Ocean Bathing Area 1. Admission to the park will be free, but an $8 parking donation is suggested to help support the festival. Members of Friends of Island Beach State Park will be at the gate that day seeking donations. Swimming will be permitted in this area during the rain-or-shine event. The Beach Plum Festival offers activities such as beach plum picking, children’s games, a rock climbing wall and more. This year’s event will include a paddleboard raffle, music by Ocean County-based classic rock band New Suede Blues, nearly 100 craft and specialty vendors, and numerous other environmental exhibits, demonstrations and seminars. Members of the Boy Scout Troop 1 Honor Guard will open the festival at 9 a.m. Throughout the day, visitors can watch lifesaving demonstrations by Island Beach State Park lifeguards, go on walks to see native plants, and participate in seining on Barnegat Bay with park naturalists to enclose and catch fish by using large nets with sinkers and floats. A food court with numerous cuisine choices will be available. 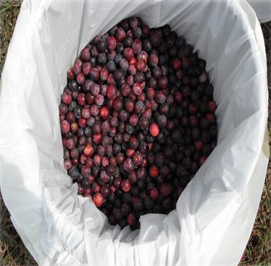 The Friends of Island Beach State Park this year received donations of 100 pounds of beach plus from The Beach Plum Association of Cape May County and 5 gallons of beach plum mash from Jalma Farms in order to make beach plum ice cream, beach plum jelly and beach plum muffins for the event. The festival’s namesake – the beach plum - is a shrubby tree found in coastal environments from Maine to North Carolina, and is noted for its beautiful blossoms in early spring and its fruit in late summer and early autumn. The beach plum thrives in sandy soil, providing dune stabilization for sensitive coastal ecosystems such as those protected at Island Beach State Park. 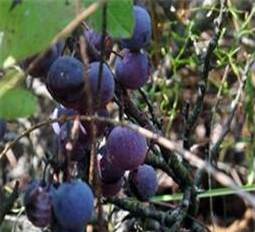 The fruit of the wild beach plum usually measures less than two centimeters in circumference. Its taste has been described as a mix between a plum, strawberry and apricot. It can be eaten raw, but is often used as a jam or jelly, marinade or dessert sauce. The volunteer Friends of Island Beach State Park formed in 1996 to encourage protection of the barrier island ecosystem and to enhance both educational and recreational programs at the park. The group now has more than 400 members, publishes and distributes 30,000 copies of the park’s Visitor Guide annually, has funded improvements to the park’s Nature Center and Interpretive Center, picnic tables, a beach camera, free Wi-Fi at Bathing Area 1, and installation of a state-of-the-art camera system to monitor an osprey nest at the park. The group was also helpful in the successful fledging of two piping plovers at the park in August from the first oceanside nest in more than 25 years and the first in the park in more than a decade.